If you can’t name the most famous black, Puerto Rican, one-eyed, Jewish entertainer, that legend isn’t going to roll over in his grave, but he might knock out a traveling wing with a triple toe hit, or some similarly spectacular tap dance move. Sammy Davis, Jr. did not call himself “the most famous,” but “the only black, Puerto Rican, one-eyed, Jewish entertainer in the world.” From the age of three until his death, Davis (1925 – 1990) never stopped dancing, singing, acting and playing music. The first major documentary to examine the icon premiered February 19 on PBS: Sammy Davis, Jr.: I’ve Gotta Be Me by American Masters (stream now). 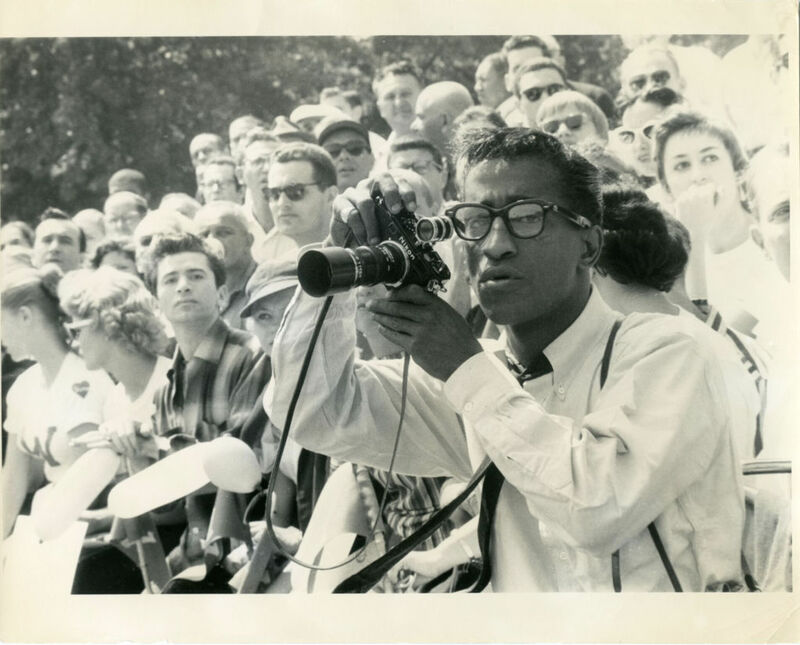 Directed by Sam Pollard, the film explores Davis’ vast talent and his journey for identity through the shifting tides of civil rights and racial progress during 20th-century America. After the broadcast, viewers will get to see 20 minutes of exclusive bonus performance footage spanning Davis’ career, answering any questions as to why Davis owned the name Mr. Show Business. Born in Harlem in 1925, Davis began performing with his vaudevillian father at age three and grew up on the road. He soon became the main attraction of The Will Mastin Trio before breaking out as a solo act in the 1950s. Tap dancing, acrobatics, singing, playing percussion to trumpet – Davis became a master of all. At 18 he was drafted into one of the first integrated units in the Army. Fellow soldiers brutally beat him and berated him with racist slurs, yet as part of the entertainment regiment, they would be his appreciative audience. 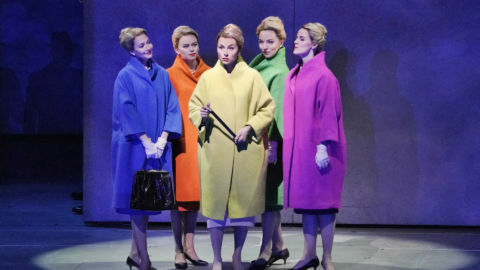 On Broadway, Davis starred in Mr. Wonderful (1956) with Chita Rivera, Golden Boy (1964) with Paula Wayne, Sammy (1974) and Stop the World – I Want to Get Off (1978). Davis used society’s discrimination against his race, ethnicity, disability, and chosen religion as fuel for his jokes during sold-out concerts on top talk and variety television shows that the entire country watched in the era before cable and streaming. “When I move into a neighborhood, I wipe the place out,” he’d quip. His extraordinary talents helped him rise above daunting obstacles, and he made “I’ve Gotta Be Me” his anthem song. The hugely popular Frank Sinatra admired Davis’s talent at a show in Harlem and pulled him into the upper echelon of stardom and his circle of friends. At age 30, shortly after hitting the song charts with the hit “Hey There,” Davis lost his eye in a car crash. While recuperating from this near-death experience, partly at Sinatra’s home, Davis converted to Judaism. 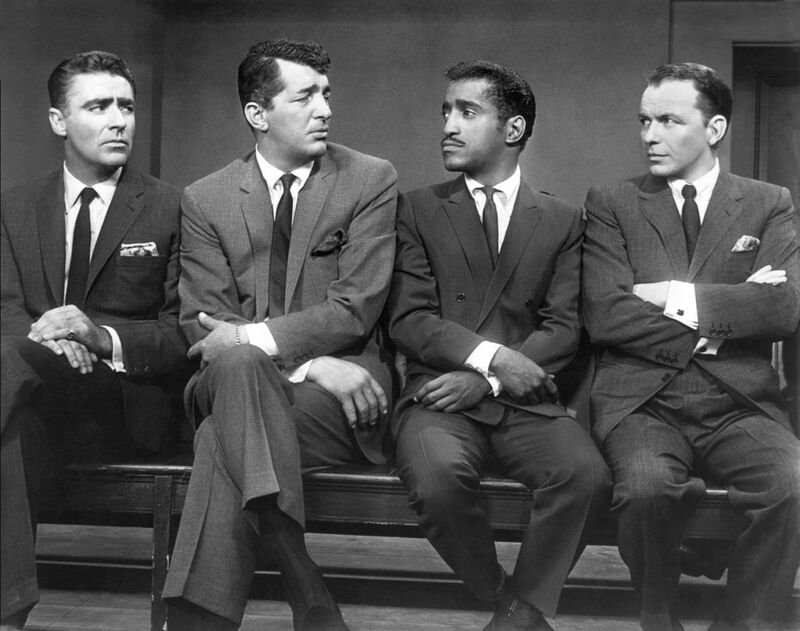 Sinatra, Davis, Dean Martin, Joey Bishop and Peter Lawford became known as “The Rat Pack,” cool cats who socialized and performed together, often in Las Vegas. They filmed the casino heist caper Ocean’s Eleven (1960) and the trio of singers Sinatra, Davis and Martin captivated live audiences with their funny banter and vocal harmonizing. The Rat Pack trio’s 29-city tour in 1988 came two years before Davis’ death from throat cancer. 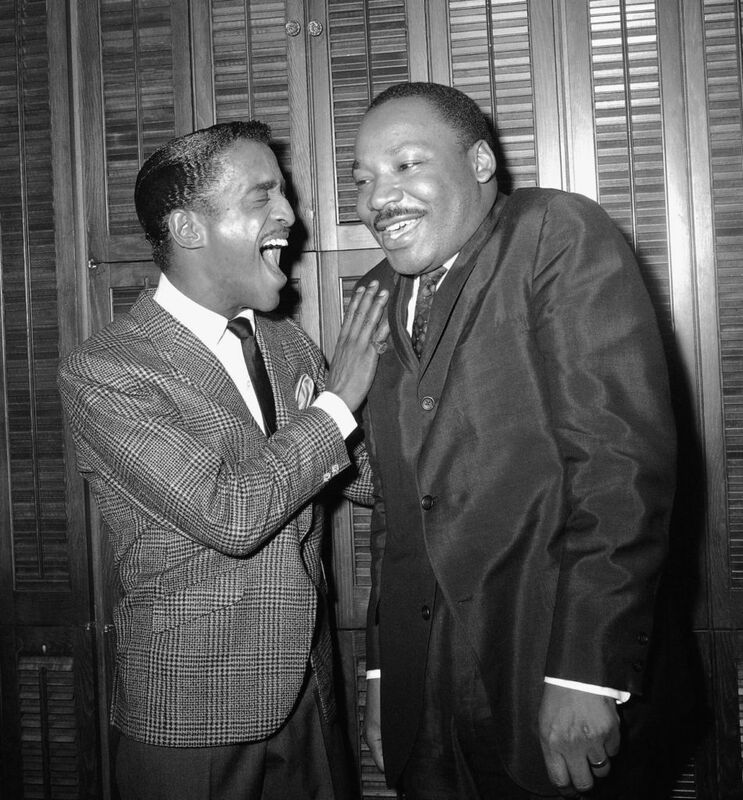 Sammy Davis, Jr. and Dr. Martin Luther King laughing together backstage at the Majestic Theater in 1965. Credit: LOC, Prints & Photographs Division. Despite his wide, popular appeal, the extreme prejudice Davis faced included death threats in response to his personal relationships. In 1957, he ended his romance with white actress Kim Novak – soon to appear in Vertigo – after a veiled death threat from the head of Columbia Pictures, who was grooming Novak to be a star. At the time, interracial marriages were banned in half of the country’s states and it was only in 1967 that the Supreme Court ruled “anti-miscegenation” laws unconstitutional. Davis was a supporter and activist within the civil rights movement and supported John F. Kennedy’s presidential bid with many appearances on the campaign trail. But when Davis married the white Swedish actress Britt May in the same year, 1960, the Kennedys started viewing him as a political liability. Even at the Democratic National Convention in Los Angeles, Davis was booed by Southern delegates. Days before John F. Kennedy’s inauguration, the new president withdrew Davis’ invitation to the celebration, which Davis’ close friend Sinatra was producing. Davis and May divorced in 1968 and in 1970 he married African-American performer Altovise Gore. By 1972, Davis was a supporter of Republican President Richard Nixon. In 1973, Nixon invited Davis and his wife to the White House as guests – they were the first African-Americans to spend the night there. But this wasn’t seen in a celebratory light as African-Americans disparaged Davis for his association with Nixon. Davis faced cool receptions even when he started backing rising politician Jesse Jackson, which deeply hurt him. From the specials he hosted and appearances as himself on sitcoms, the most collectively remembered moment in television history is from All in the Family in early 1972, when Davis mischievously plants a kiss on the cheek of Archie Bunker, television’s most famous bigoted character. On a talk show in the mid-1970s, Davis divulged that he worried he could one day resemble the has-been “Mr. Bojangles,” the titular character in the song Davis still sang in concert in front of thousands of fans. But he died too young and talented to have faded in his own time. THIRTEEN is proud to present the television premiere of American Masters – Sammy Davis, Jr.: I’ve Gotta Be Me on Tuesday, February 19 at 9 p.m. The documentary features exclusive interviews with Billy Crystal, Norman Lear, Jerry Lewis, Whoopi Goldberg and Kim Novak, with never-before-seen photographs from Davis’ vast personal collection and rare footage from his performances in television, film and concert. 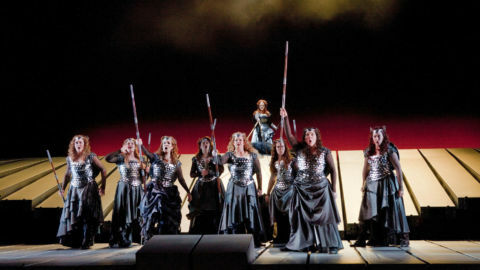 Learn more about the film on the American Masters site. Stream the film now for a limited time.